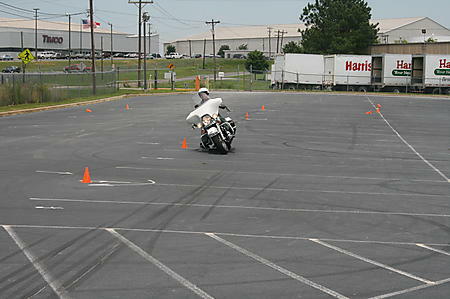 The Ride Like Pro Course is held in Mocksville (near Winston Salem) N.C. at 140 Theodor Drive Mocksville NC 27028 (Click on “location get directions” on the sign up for classes tab Class size is limited to eight students. 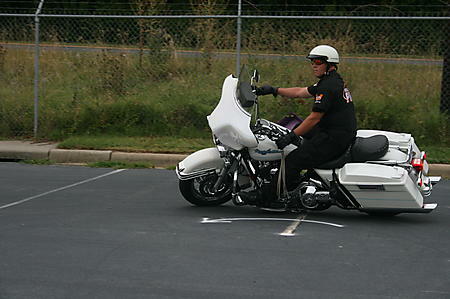 This allows for a low rider to instructor ratio and gives the students more riding time. The course of instruction is based on the Ride Like a Pro instructional DVD and Exercise Guide. Each exercise builds on the next incorporating the skills learned in the previous exercises. If you have not seen the DVD, I highly recommend that you do, as it will help you out greatly with the course. You can order the DVD from Jerry’s website. Sign up with a friend, and make the class even more enjoyable! If you have a group or club that would like to take the course together that can be arranged also. Discounts for Military (Veterans or Active) and First Responders (Police, Fire and EMS) (Retired or Active) Please ask for details. Group rates are available of a class of six or more. Email me for details. A previous student can retake the class for $50.00 12 months after his/her first time as long as there is room in the upcoming class. I will travel to most locations to put on a training class. Requirements are, the class needs to be at least 6 or more students, group will need to procure a suitable parking lot and lodging for me. Group rates would apply. Call or email me with details.